T.G.I.T.! Now let's have a mimosa. I am back from my whirlwind of a weekend in NYC (recap post and endless food photos to come! ), and I am ready to stay put in Houston for a little while (while, except for a trip to New Braunfels in two weeks?) and hunker down for the holidays! So remember the recent weekend in Houston where we had all of the Biblical rains dumped out upon us? Not last weekend, since I wasn't here for that, but the other one? 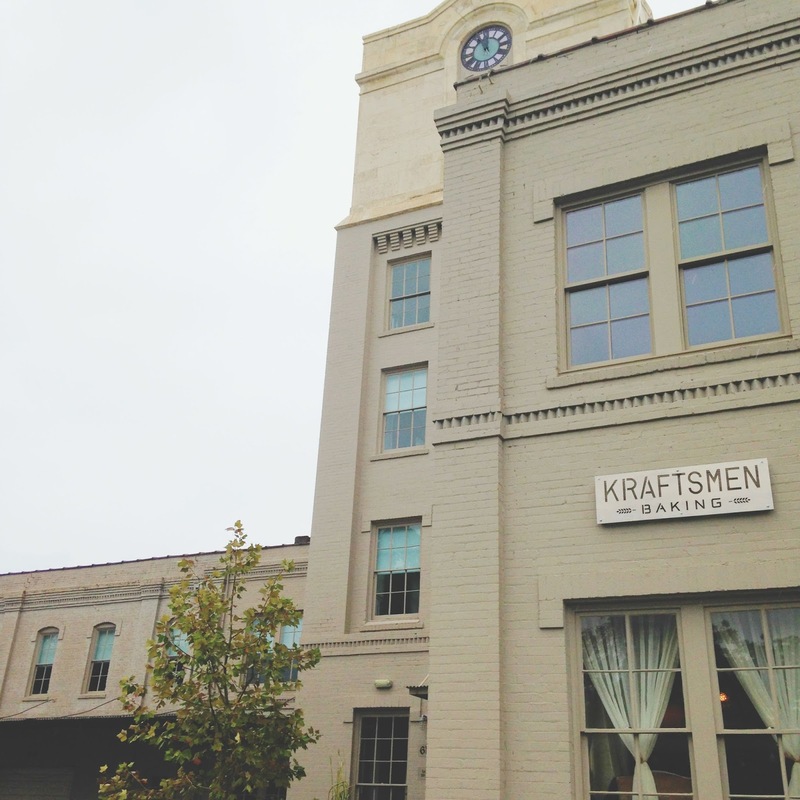 THAT weekend, Jon and I met up with our friends Lindsey and Caleb for brunch at a restaurant called Kraftsmen Baking in the Heights! We took cover in this adorable restaurant, which is nestled inside a 19th-century textile mill in Houston’s Historic Heights. I'd passed the building itself a number of times prior to our visit without ever noticing it. But recently my parents have been raving about the food there, so it's been high on my radar of places to try. The cozy restaurant has a bright and welcoming entrance, where customers order food at the counter prior to sitting at one of several wooden, butcher-esque tables. 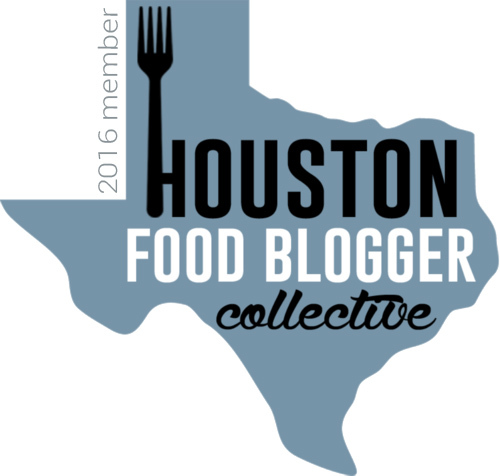 Oh, and did I mention that there is a BYOB brunch option? (why yes, you have died and gone to heaven). 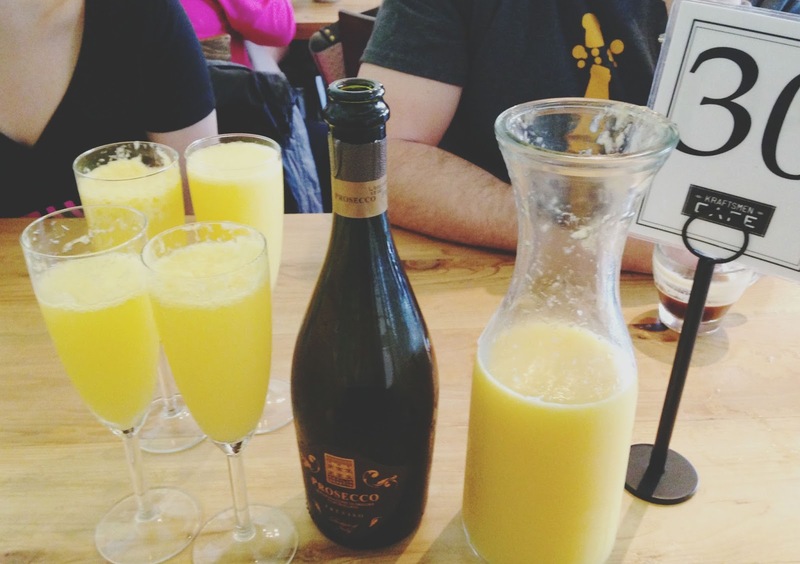 A large carafe of wonderfully fresh orange juice will run you a mere $9, and at $1 per glass, you can make your own mimosas for as long as you wish! We brought 2 1/2 bottles of prosecco/champagne, which we completely finished between the four of us - and we still had O.J. left to spare at the end! ..... I... don't really know what this says about us. 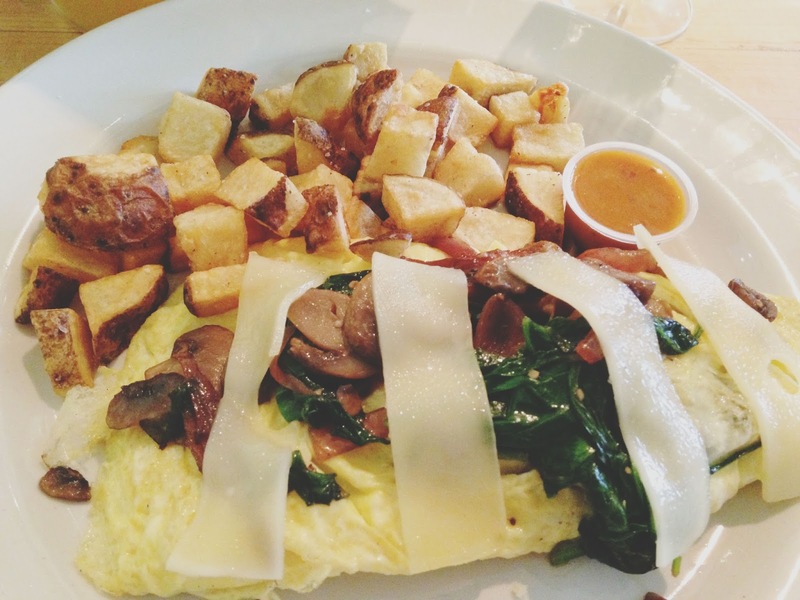 Food-wise, I ordered "The Woodsman" - an omelet with caramelized shallots, spinach, mushrooms, raclette cheese, and truffle oil. The spinach and mushrooms were wonderfully sauteed, and the caramelized shallots added a lovely sweetness balanced against the aromatic, earthy truffle oil. The only disappointing thing about this dish was the cheese. While the strips that were laid atop the omelet made for a pretty picture, taste-wise I would have much preferred the cheese to be inside. It's positioning on top of everything left it firm and un-melted, and as a result it was difficult to mix it in with all of the other lovely ingredients. Overall, I really did enjoy the omelet, I just wish the cheese had been more adequately combined with everything. I also ordered my food with a side of fruit, potatoes, AND toast because, brunch. The nicely salted potatoes were good and hearty, and I was able to enjoy my toast with two different complimentary jams. My favorite of the jams was what I believed to be pineapple. It was unique and delightful! 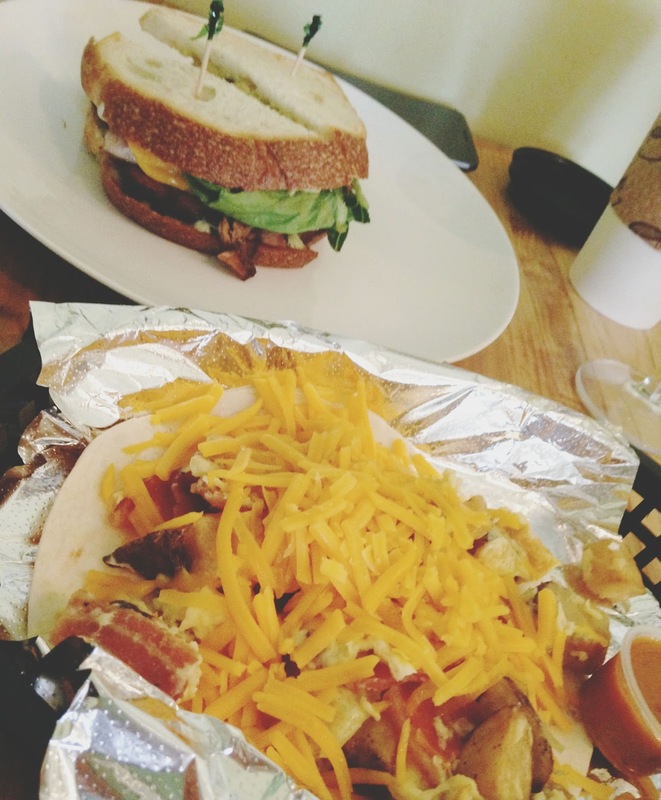 Jon ordered a bacon breakfast taco, which he devoured, and the pork belly BLT (minus the T) because, brunch. While he enjoyed both of his food offerings, he favored the BL-non-T and was excited to bring home leftovers! 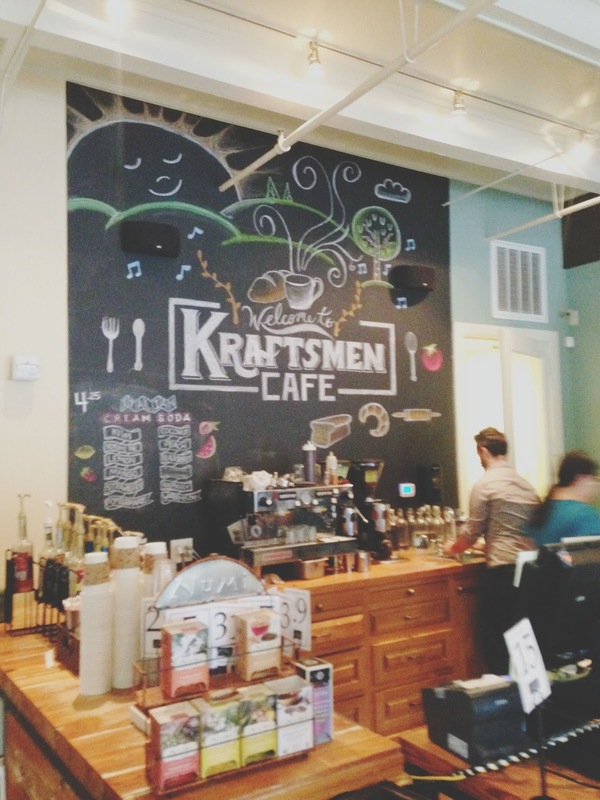 Kraftsmen Baking is a lovely, cozy Houston restaurant with an unpretentious, yet varied brunch menu. 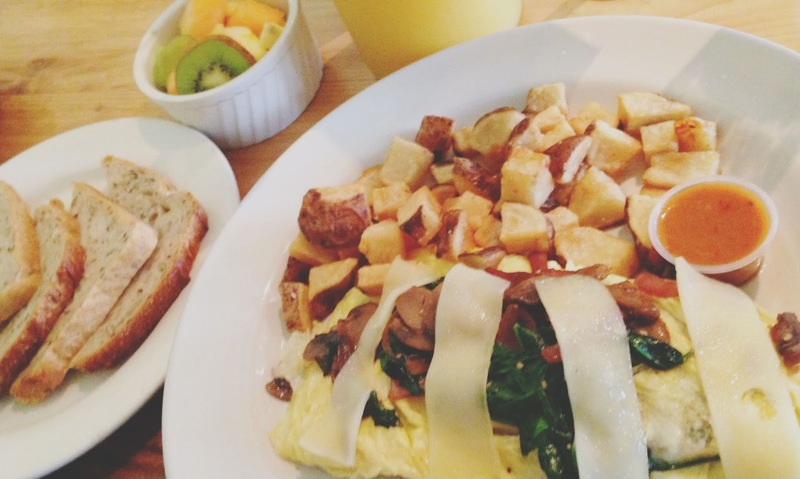 The food is comforting, playful, and enjoyable, and the BYOB brunch option is a MAJOR plus. It doesn't hurt that I live very nearby, and I will definitely be going back soon! Weekend, you are so close.